After training, I headed off to the New England town of Kingsmouth, which was having issues with zombies, water monsters, and Ur-Draug, which was basically Cthulhu. The quest system is where The Secret World may frustrate some MMO players; there are three kinds of quests (Story, Side, and Main), and you can only have one of each type active at a time. Story missions are the backbone of the game, Main missions are given to you by NPCs and Side missions are found on items. The idea behind the limit, says Funcom, is to make sure that players really focus on the task at hand. Everything means something in The Secret World - there are no throwaway, filler missions. When you have a jumble of missions all going on at the same time, it's easy to lose the thread of what you're doing, which would make it far more difficult to piece together The Secret World's massive story. Some will undoubtedly chafe at the restriction, but the developers compensate by making the quests multi-tiered, which makes them feel like a succession of smaller missions, rather than just one. You can "pause" a quest by picking up another one and go back to it later, retaining whatever progress you had made in it up to that point. Kingsmouth is a mix of smaller missions meant to introduce you to the world and general play mechanics, and bigger missions that tap into the game's lore. Gathering supplies from around town helped me learn the geography and identify major landmarks, while a chat with the local fortune teller about the strange dreams she'd been having sent me chasing after ravens. Defending the police station from waves of attacking zombies was fun, but the quest I enjoyed most started when a townie who is very active on "secret" online forums pointed me toward an Illuminati symbol on a manhole cover, which in turn led me to another manhole cover, and another, until I ended up at a plaque which pointed me back toward the Town Hall. The next clue was concealed in a painting, but I didn't recognize the name in the clue, and instead decided to just guess which artwork was the right one. I quickly discovered that I should've taken a moment to Google, as most of the paintings led to dead(ly) ends. The Secret World is full of quests that will require you to do a bit of research, and will come with an in-game browser to help you if you're not quite up on your Latin or history. When you complete a quest, you'll automatically send a report back to your Faction, which will wire you money and XP, saving you the trouble of having to yunk back to wherever they are. It's a nice way to keep the action flowing, but their communiquÃ©s can even include hints about the overall story, so be sure to take time to read them. As you progress within your Faction, you'll be given Ranking Missions to prove your worthiness. These are quite different from the other quests of The Secret World. You might have to infiltrate another Faction's stronghold, or engage in a bit of espionage. The Ranking Missions are difficult, but the rewards are great: Complete it and you'll receive cool new gear, clothing, and a new title. Two things struck me as I wandered around Kingsmouth. The first was how The Secret World's modern setting made me more emotionally invested in what I was doing. I've been to towns that look just like Kingsmouth - admittedly with fewer monsters - and as a result, I felt very protective of the people I encountered. They might've been performing the same duties as any other NPC, but because they felt familiar, I thought of them as actual people, not just quest dispensers. 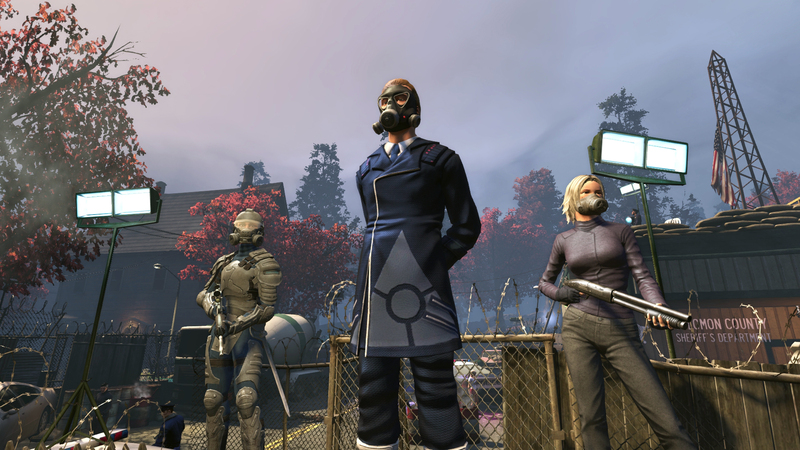 The second surprise was just how funny and smart The Secret World can be. It's stuffed with pop culture references, like the "Wanted" skill for dual pistols, or comments about Googling. The streets of Kingsmouth have names like Belmont Avenue, Elm Street, and Lovecraft Lane, while the residents themselves are named after travelers on the Mayflower. The dialog is well-crafted, furthering the mysterious story while never taking itself too seriously. It's a great tone, and hopefully one that's maintained throughout the rest of the game. I was also impressed by The Secret World's visuals. I saw a handful of areas - London, Kingsmouth, Egypt, and the PvP area of El Dorado - and each felt completely distinct from the other. The character models are striking as well, which makes customization based on clothing even more interesting. Being able to identify someone not by the name floating over their head, but rather by their appearance would add to the real-world flavor of the game. I'm not an MMO person, but the rich story of The Secret World, as well as its unique skill system, had me hooked after just a few hours. I learned just enough about the mystery to want to keep looking for pieces of the puzzle, and I'd only just scratched the surface of the mix-and-match combat when it was time to quit. This isn't the same old fantasy world, with the same old grind and the same old roles. This world isn't just secret, it's new.